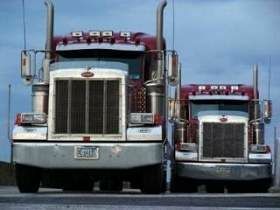 How to become a truck driver in the USA? The most challenging part is having to have owned a regular driver's license in US then, as it means I have to spend at least a year there with probably low-paying jobs as an unqualified person. Does it help if I have a regular driver's license or even the one needed to drive trucks in another country? Would that help and/or (do the requirements) change from state to state? I am wondering if being granted a Green Card may help in this case. I hope I am writing this in the correct section and if not, sorry in advance. I just signed up as a 21 year-old guy living in Turkey (so far away from the States! ), looking forward to seeing if I can have a shot at this industry. This message is not a "Should I be a truck driver?" type but more like, "Is it possible and viable for me to do this in the USA?" instead. Please do not hesitate to ask me any questions about the issue to have a better picture of things, in case I may forget anything. My main question is pretty straightforward: As a young lad without any savings, is it possible for me to come to the USA, get the relevant license and start driving a truck? As far as I know, there have been a shortage of truck drivers in the USA in recent years and I'd assume the government would be happy to recruit young workers - however, I just have no idea if this is the case and if it is, what I should do in order to be accepted. At the moment, I am a freshman at college, studying Italian Language & Literature. However, in August, I will move to Ukraine to study English Language & Literature. While staying at school and getting a diploma is a cool thing, I just don't see a future for myself there. Five or six years spent on school, graduation at the age of 26 at best with no particular skills but only some literary information... I don't know. I feel very concerned about my future and everything in trucking seems to be perfectly fitting for me: It has been a dream for me since my childhood, but in my country, being a truck driver pays no good money and it's generally frowned upon, sadly. The only concern I may have as a truck driver in the USA is missing NHL games on the road! Apart from that, life style and pay is awesome: Traveling through the USA, being in charge of a truck, not having to deal with typical daily stuff and having a good paycheck both to save for yourself and provide huge support for the family (mom and siblings) in Turkey? I would definitely be in that. To be honest, I have always been one of these shy guys who constantly dreams of getting away and feeling irritated around people, haha. So, I would like to learn what I should do if it's possible for me to chase a trucking job in the States... Even though it's not perfect, I have a thing going on here - you know, moving to a new country, starting a new school, already having an online job which pay quite good enough for a student... Leaving for the USA would mean a definite END for all these, so while I am fond of trucking and would be very happy to become a truck driver, I do not want to screw up things forever by destroying my chances both as a driver and a guy with diploma. I need your valuable information and life experience on this. I am by no means asking for money, scholarship or such. I just need a way, a light from which I can take on.